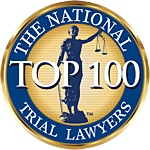 Florida Medical Malpractice Lawyer | David C. Rash P.A. to provide you with honest evaluation, advice, and representation. Safety laws and regulations exist to protect us from harm. When big businesses, negligent medical professionals, or individuals breach these safety regulations, this puts the community at risk. It's time for consumers to stand up to negligent businesses and individuals, and hold them responsible for their actions. Whether you or a loved one has been hurt by a dangerous drug, defective medical products, or any other form of medical malpractice, David C. Rash P.A. is ready to protect you. He has taken on large corporations and successfully held wrongdoers responsible for their failures to follow basic laws. Dedicated to enforcing the law, we want to make our community a safe place for us and our future generations. David C. Rash is a trial-tested attorney and fierce advocate of the injured. When your rights have been violated, he's here for you. For more than 25 years, David and his team have helped clients during their time of need and protected their rights. Start with a free evaluation. David has obtained justice for wronged individuals and suffering families, winning millions of dollars in recoveries for clients. When we encourage you to not hesitate, we do not exaggerate. Florida State has some of the strictest statutes of limitations for medical malpractice cases in the country. If you believe that a medical practitioner has caused you harm due to negligence or wrongdoing, you only have two years from when the injury occurred or from when you should have known about it to file a lawsuit against them. Waiting beyond the statute of limitations permits the court to automatically throw out your case, no matter how much evidence you may have gathered against the liable party. If the harm of the malpractice is not readily known, such as in a lingering illness or infection, you may file beyond the two year statute of limitation but not if four years have passed since the original occurrence. Additionally, even if fraud was intentionally used to hide the consequences of medical malpractice from you, the patient, the statute of limitations is just seven years. You must reach out to a medical attorney in Florida quickly to ensure that your rights are not forgotten. We accept all forms of medical malpractice cases in Florida. Medical practitioners are respected and revered for helping people recover from the worst of wounds or ailments, but they still must be held to the highest of standards. When someone's health is on the line, there must be no allowance of negligence, or else a devastating injury or complication can arise in virtually any situation. Recovered for businesses and individuals who were damaged by the BP Oil Spill. Cruise line crew member injury case. Helped in litigating landmark tobacco class action case in Miami. Railroad locomotive engineer injury case. Recovered settlement for mother who died from cervical cancer due to negligence of laboratory and doctor, both of whom misinterpreted and misreported biopsy specimen as benign when it was actually cancerous. Settlement is significantly more than arbitration damage caps for medical malpractice cases in the state. Settlement in a cruise line crew member wrongful death case. Medical malpractice severe injury case resulting from a failure to monitor and treat preeclampsia. Medical malpractice often causes more harm than the original condition that brought a patient to their doctor or clinic in the first place. With one critical mistake, such as an unnecessary surgery or unaddressed birth injury, the patient and their loved ones may suffer the consequences for years to come, if not permanently. When you seek compensation through a lawsuit with our Florida medical malpractice lawyer's help, all avenues will be thoroughly reviewed to make certain that you get the money you need for today, tomorrow, and beyond. It costs you nothing to learn your rights. Don't wait, schedule a consultation and get help today!